"Hi Jason Sorry for the late reply. My urn was delivered yesterday and it is beautiful. Thank you for your fast delivery. 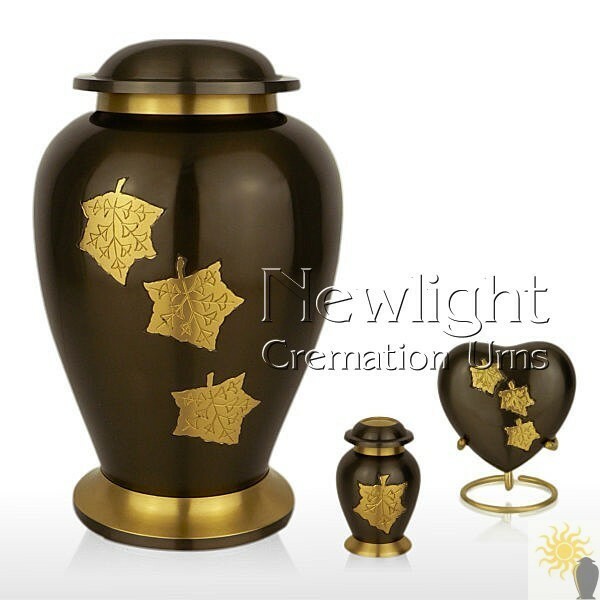 Regards Fiona"
The Autumn Leaves Heart keepsake is a very high quality solid cast brass ashes keepsake, it has a rich satin brown finish with an engraved falling leaves design. 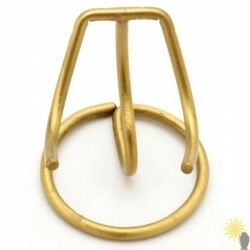 it is designed to hold a small amount of the cremation ashes. 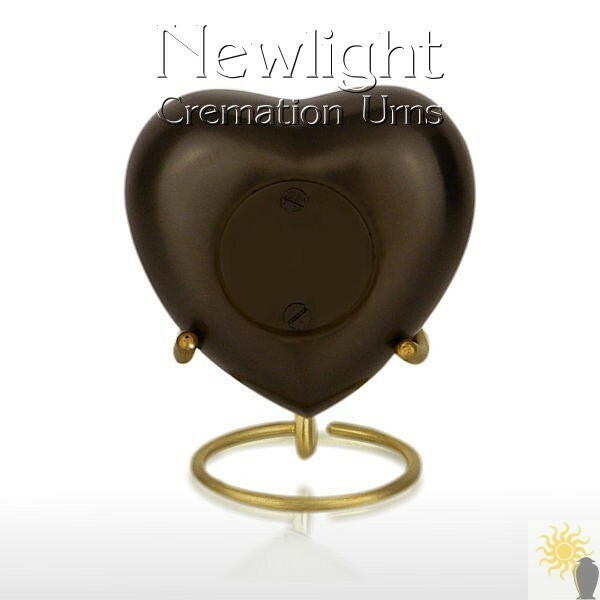 Your loved ones ashes will always be safe as they are placed into the keepsake through a back plate that is fitted with screws to secures the ashes inside. 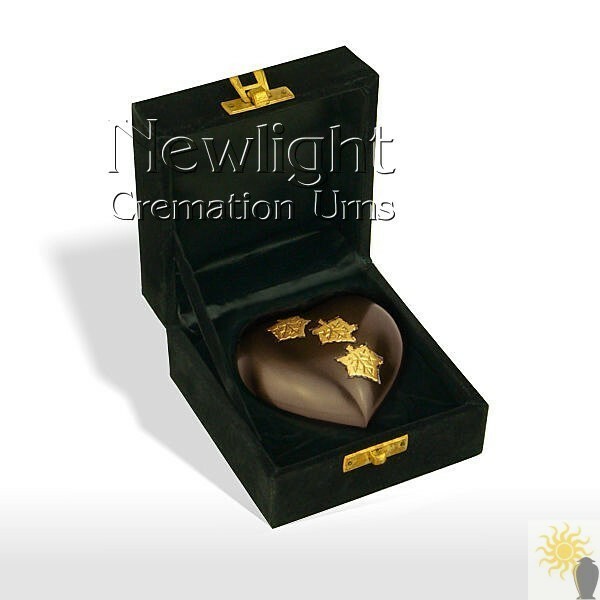 This wonderful heart shaped keepsake is supplied in a luxury presentation box which is an excellent way to keep it safe and private, or it can be displayed on a metal stand in either brass or pewter (available separately, find them in the Accessories category) as shown in the photos. 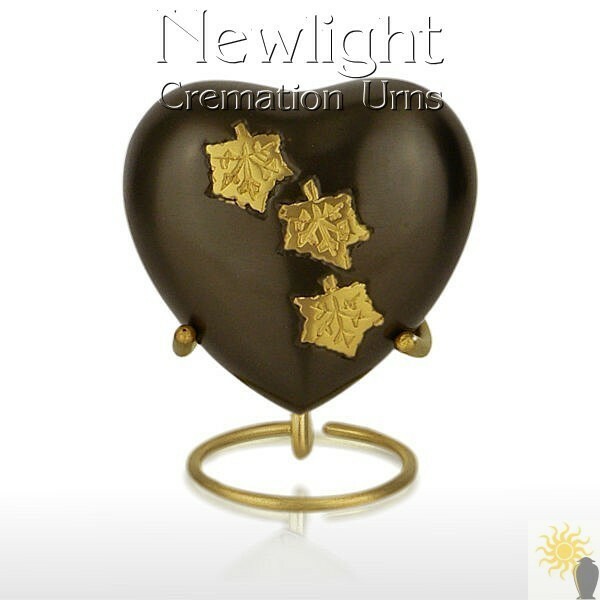 All our brass cremation keepsakes are made in the same way by artisan metalworkers with decades of experience. The sections are hand cast and seamlessly assembled, then a brushed or polished surface is applied to the keepsake and finally many hours are spent applying the hand painting, enamelling or intricate hand engraving, that decorate our heart shaped keepsakes. This method is time consuming but produces a far superior product and results in each one being subtly unique.